He told the BBC the action risked creating problems similar to those in war-torn Somalia. 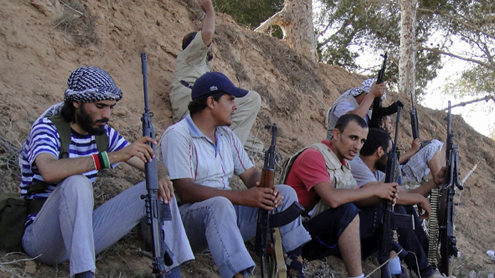 France has confirmed it dropped arms to Berber tribal fighters in the mountains south-west of the capital, Tripoli. Some analysts said the move might contravene the UN Security Council embargo on arms supplies to Libya. Mr Ping was speaking from Equatorial Guinea where African heads of state are to meet on Thursday for an AU summit. Libya is expected to be high on the summit’s agenda. “There are several problems,” he said. “The risk of civil war, risk of partition of the country, the risk of Somalia-sation of the country, risk of having arms everywhere… with terrorism. Mr Ping said that an AU peace plan for Libya set out in March was still valid. The road map calls for a ceasefire to allow political talks to take place. News of France’s weapons delivery to the rebels emerged in a report by Le Figaro newspaper on Wednesday. The newspaper said France – a leading force in the Nato operation in Libya – did not inform its allies about the move. The report said the weapons included rocket launchers and anti-tank missiles, although French officials would only confirm light arms and ammunition had been dropped to rebel fighters. The decision was reportedly taken after a meeting in April between French President Nicolas Sarkozy and the Chief of Staff of the Libyan rebels, Gen Abdelfatah Younis. France is said to have been concerned at the stalemate in the Libyan conflict that started in February. Rebels have recently been making gains and hope to advance on Tripoli from the existing front line on the other side of the Nafusa mountains about 65km (40 miles) from the capital. Russia and China have criticised the Nato campaign, saying it has gone beyond the remit of UN resolution 1973, which authorised international military action in Libya. However, the US has argued that resolution 1973 allows countries to provide arms to rebels despite an earlier resolution – 1970 – that imposed an arms embargo on the whole of Libya.